BOCA RATON, FL — Today, Boca Raton Football Club continues its commitment to growing soccer in Palm Beach County by proudly announcing that the club will now field a team in the Beaches Adult Soccer League (BASL) starting immediately. Boca Raton FC looks for key partnerships among locals and teams to operate teams outside the two main NPSL and APSL clubs that Boca Raton FC manages. In BASL, Boca Raton FC has reached a partnership with Nick Rasek, who had a team in BASL last year named West Palm FC. 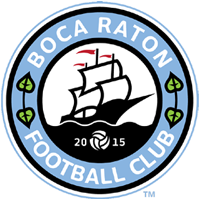 Rasek will continue to run his team, and will rebrand his club as Boca Raton FC, and will now have access to Boca Raton FC’s players poll, as well as assistance from Boca Raton FC’s media department to promote BASL games, as well as Boca Raton FC vendors. In the 2018 BASL Summer Championship, under Rasek’s leadership, his club defeated the top two BASL teams, Gold Coast Inter AFC, and Shocker FC to earn the 2018 BASL Summer Championship after coming in 4th place in the regular season. With a extensive knowledge of the game, Rasek holds a US Federation C License, and was an assistant coach on Lynn University’s 2011 National Champion Runner-Up and 2012 Championship teams. Currently Rasek runs the Lake Worth Youth Soccer programs, something he’s been going since 2012. With its announcement of the BASL team, Boca Raton FC now boasts teams four leagues, all with different levels of play, and a bigger chance for local players to be seen and become part of the Boca Raton FC family. Boca Raton FC’s BASL team will take the field again on Sunday, September 23 at 7pm as they take on Palm Beach Flames at Marisol Park in Palm Beach Gardens.